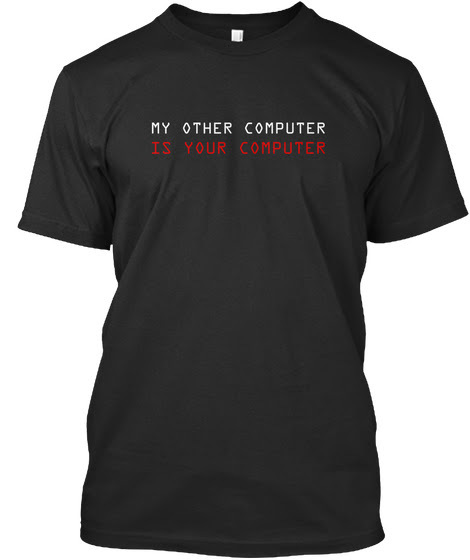 Thanks to Violet Blue for tweeting about the existence of this Bugcrowd shirt. Apparently there are stickers too, but possibly not on Teespring. Do you even know what your AV looks like? Could we not hack the planet? Shouldn't it take more than this to stop a tank?